In case you missed them, here’s a few new pieces I’ve written and published for Scientific American, Hakai magazine, and Inside Science over the past month. Thanks as usual to all of my excellent editors. I’m only posting brief excerpts here, so if you’re interested, please check out the whole thing using the links below. 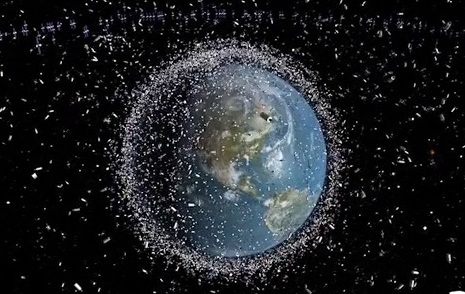 Thousands of known pieces of debris already clog low Earth orbit, with many more expected as research and commercial projects begin to launch swarms of small satellites known as CubeSats. David Palmer, an astrophysicist at Los Alamos National Lab in New Mexico, and his colleagues are working on a way to keep tabs on the growing space traffic. Palmer normally studies pulsars — distant celestial bodies that emit regular pulses of radio waves — but he realized that their low-power signals could be a model for tracking human-made objects in space. This inspired Palmer and his colleagues to develop postage stamp-sized beacons for satellites that are uniquely identifiable, like license plates in space. These devices, if successful, could become ubiquitous in the industry and help address the worsening problem of proliferating space junk. “We’re looking to get it out of the experimental phase. In the next couple years, people will want them for their own satellites. If all goes well, maybe in five to ten years, there will be requirements that everything that goes into space has to have one of these,” Palmer said.